There are official rules that the United States Department of Transportation set for flying with a musical instrument across all US airlines. 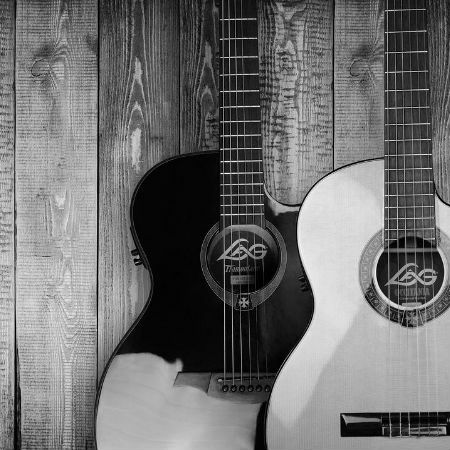 Every musician knows the struggle of traveling with instruments; these standardized policies were written with them in mind, from the casual guitarist to the touring professional, allowing them to bring their music with them without incurring any unreasonable expenses or hassle. A lot of musicians dread bringing their prized instruments with them on the plane, but with these new provisions, it seems that things are going to get better. There are now ways to minimize frustration, both for you, and for the airline you’re flying with. Just like anything else, there are rules to follow when flying with a musical instrument. Below are the rules you need to know for a hassle-free flight. 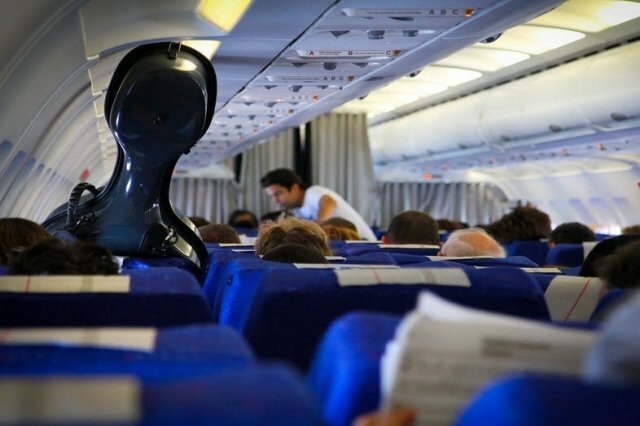 Airlines now allow smaller instruments like guitars and violins to be stowed on board as a carry-on, as long as there is room for the instrument in the overhead storage or under the seat. Unfortunately, on board storage is a first-come-first-served-basis, so if it doesn’t fit the remaining spaces, your instrument has to go. Once your instrument has been stored safely on board, you cannot be asked to remove your instrument from the plane once it has already been safely stored. You cannot be charged for any fee for bringing an instrument on board as carry-on baggage other than any standard carry-on fee charged by the airline. 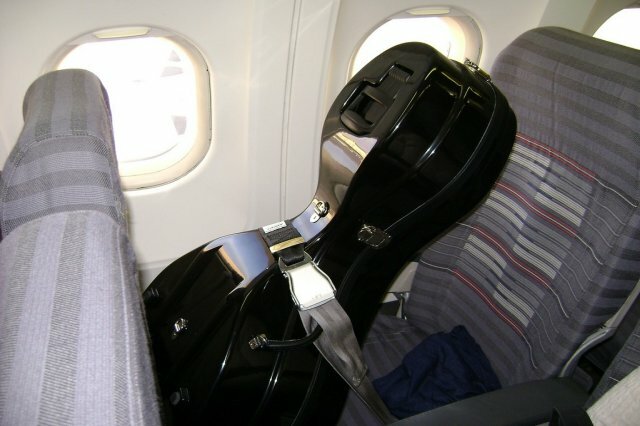 Passengers who have instruments that are too large to be carried on board (for example, double basses) may store their instrument in a separately purchased seat. However, in this case, knowing the rules is not enough. There still are a few things to keep in mind before flying with a musical instrument aside from knowing the limitations. One thing to remember is that rules often change, so check your government’s up-to-the-minute rules and restrictions for flying with musical instruments before purchasing a ticket. Lastly, experiences are on a case-to-case basis, so read up as much as you can. Different airlines have different rules and conditions when it comes to handling instruments as carry-on items. According to the Transportation Safety Administration, instruments in addition to your carry-on for US Flights is allowed. That rule alone can get you through the airport gate, but as mentioned, rules may vary. There are some airlines that do not allow extra carry-ons, even if it is a musical instrument, so ensure that your flight allows it. Also, remember to check what airlines operate in your airport so that you can access their websites and compare rules for baggage. Why does this make a difference? Because different airlines have different carry-on bin measurements—and instruments come in different sizes. Ever wondered why musicians tour with RVs instead of planes? It’s because it’s cheaper to house all the crew, but it’s also easier to transport instruments. Seriously, nobody would want to lug around a drum set or a large keyboard at the airport. If your instrument is larger than a viola, you have a few options. You could opt for land travel (drive, take a bus or a train) or pay for your instrument’s seat in flight. However, this doesn’t guarantee that a ticket agent won’t ask that you check-in your instrument. 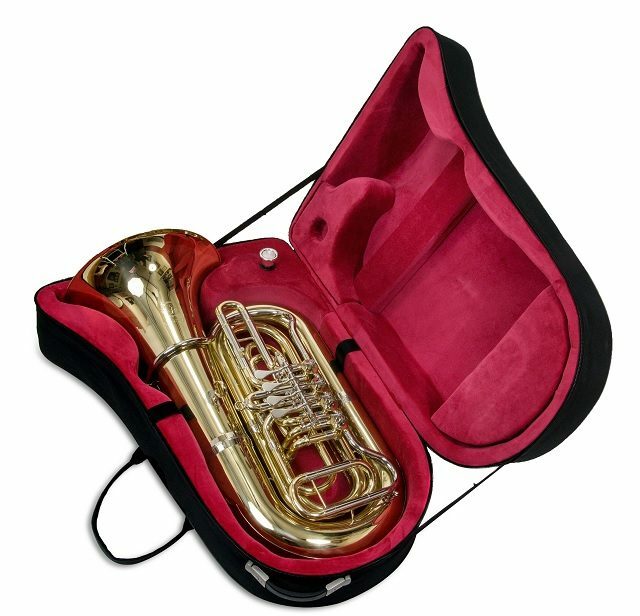 You could also opt to buy the best travel case that you can to keep your instrument safe for its check-in luggage trip. Since storage for carry-on baggage follows the first-come-first-served system, a good rule of thumb for preparing your instrument for flight is to do so under the assumption that it’ll be gate-checked. This way, you’re covered even if there’s not enough room on board. When flying with a musical instrument, a soft case is not highly advisable—neither is a polyfoam case. While polyfoam cases are great for their portability and generally provide adequate protection for day-to-day handling, they’re not well suited for the abuse the luggage may receive before, during, and after a flight. At the very least, your instrument should be inside a sturdy wooden case, although you can never go wrong with a flight-safe case with TSA latches. Gator and SKB are two great companies who make such cases, and while they do tend to be more expensive than the standard hard case, it is definitely a sound investment for frequent flyers. Flying with a musical instrument comes with a lot of risks. When on a plane with your instrument, you’d want to get rid of any accessories and tools from the case. These include, but are not limited to: string winders, cutters, multi-tools, hex wrenches, tuners, pedals, and cleaning supplies. You can pack them elsewhere for the flight. While these items may seem harmless and a commonplace for you, they may be unfamiliar and foreign to airport security personnel. You want to avoid giving anyone a reason to need to search your case as this often provides an opportunity for rough handling and accidental dropping of instruments. There are planes that have additional closets on board specifically for extra storage; however, this depends on the size of the aircraft. Still, there is no harm in asking a flight attendant if you can store your instrument there for the duration of the flight. While following the rules goes a long way, it pays to take extra precautionary measures. GPS tracking has long been famed for its help when it comes to determining the real-time location of people, animals, and objects. At airports, these devices are used by passengers to find lost luggage in the event that the airline misplaces it. For the sake of peace of mind, you can attach one to your instrument so you’d always know where it is as you fly. Flying with your instruments has become more convenient. The US Department of Transportation ruling is a huge step to making traveling easier for musicians. You can now confidently and comfortably take your music anywhere without having to worry about the safety of your instrument. Just remember to be well-informed and enjoy your trip.